Fast and Furious. U.S. cruise ships. A star-studded private celebration of Chanel. The triple tsunami of global capitalism that pounded socialist Cuba this month has spawned a fierce debate about the downside of detente with the United States. Artists, writers and intellectuals who believe deeply in Cuba’s opening to the world are questioning their government’s management of an onslaught of big-money pop culture. “The essence of the thing is that we’re a country with a particular history that has a particular culture. We have to be conscious of those values and keep them in mind when it’s time to negotiate,” said Graziella Pogolotti, an 84-year-old cultural critic who wrote a long editorial in state media calling for deeper thinking about Cuba’s dealing with international entertainment brands. 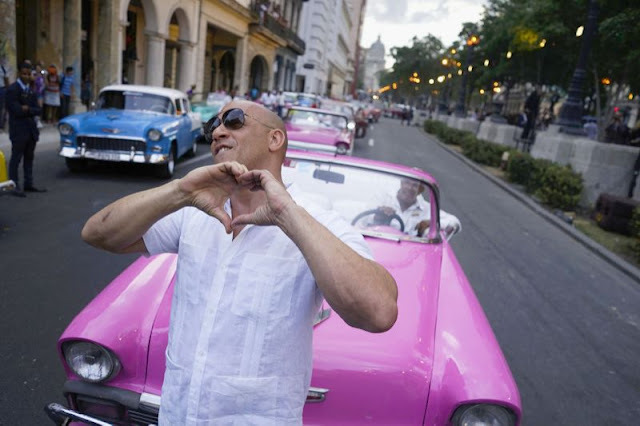 Cubans began complaining soon after the eighth installment of the hugely profitable action movie franchise Fast and Furious began filming in Havana. On street corners and in living rooms, working men and women questioned how they would benefit from a production that was causing seemingly endless traffic jams — a new phenomenon in a city where relatively few people own cars.